Convert or vaildate PDF or ZIP to PDF / A-1b, 2b, 3b or ZUGFeRD documents. ZIP can contain multiple files with folder structure, attachments, and ZUGFeRD XML. Multithreaded parallel processing, bug reports. 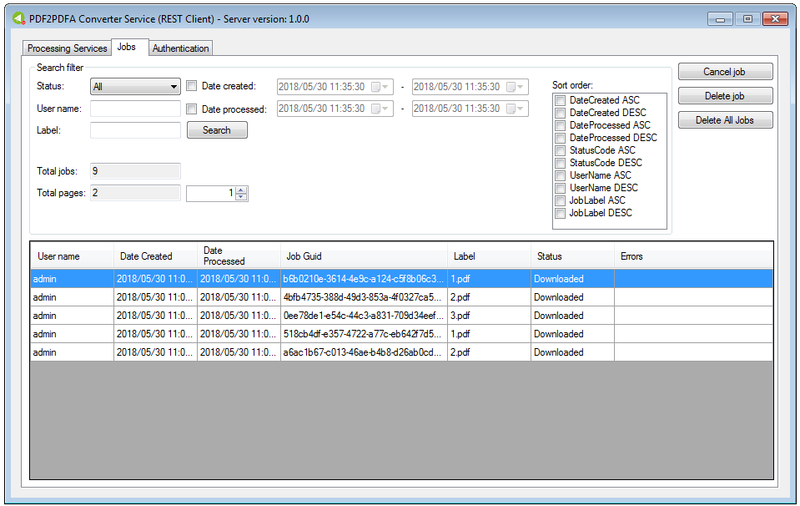 Available as a command line, folder monitor or REST / SOAP web service application. 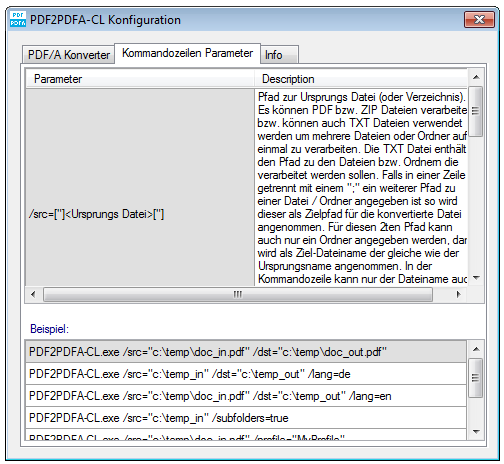 Based on the Version 1.1.0 of the PDF2PDFA Converter Component. 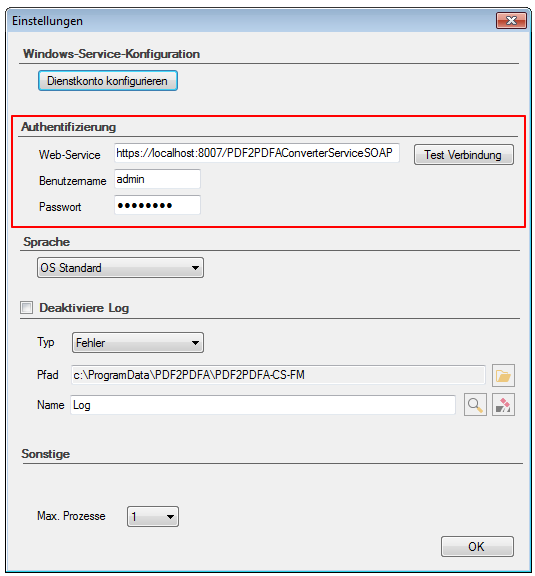 Conversion to PDF/A-1a, 2a, 3a. 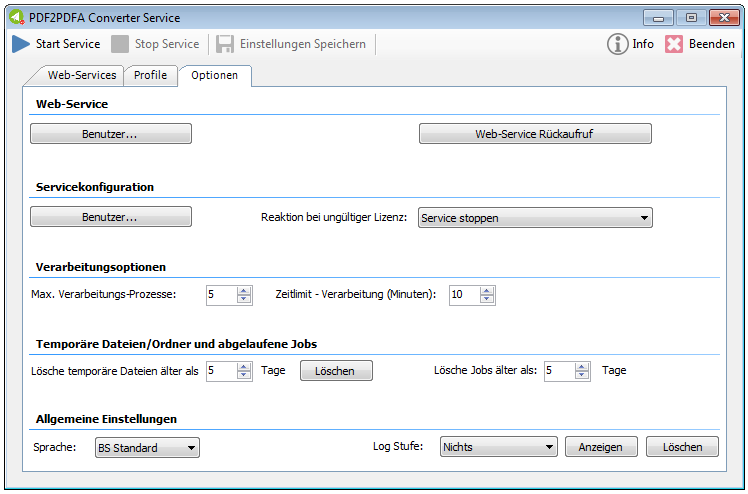 ZUGFeRD – Level (BASIC, COMFORT, EXTENDED) configurable. 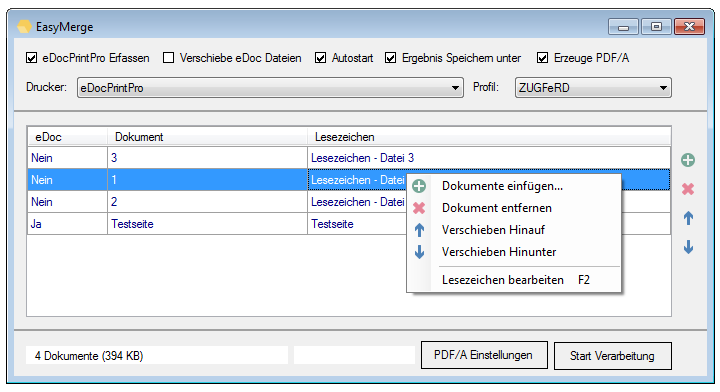 As of version 1.1.0, PDF files can now also be converted to PDF/A-1a, 2a and 3a. 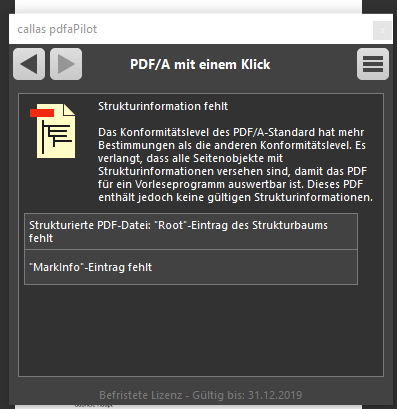 It should be noted, however, that not every PDF file can be converted and that an automatic conversion is only possible or only meaningful if the input file already contains the required structure information / tags. 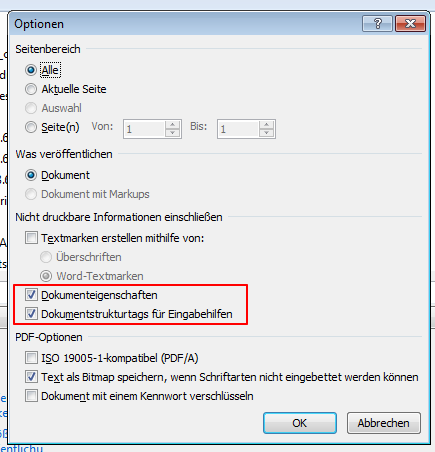 For example a PDF file can be created from MS-Word via the “Save as / PDF” function which already contains this required additional structure. The ZUGFeRD standard supports 3 different levels – BASIC, COMFORT and EXTENDED. There is now a parameter that can be used to specify which level corresponds to the XML to be embedded. 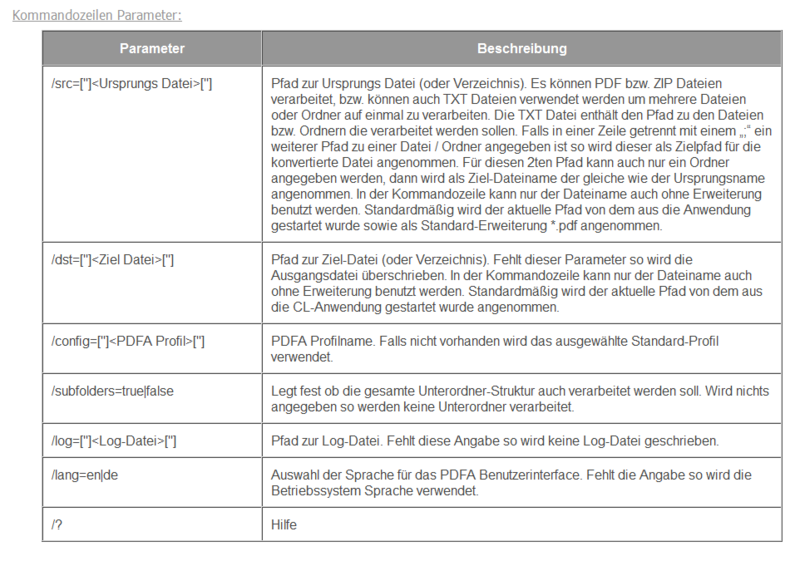 This information is then also transferred to the PDF metadata. 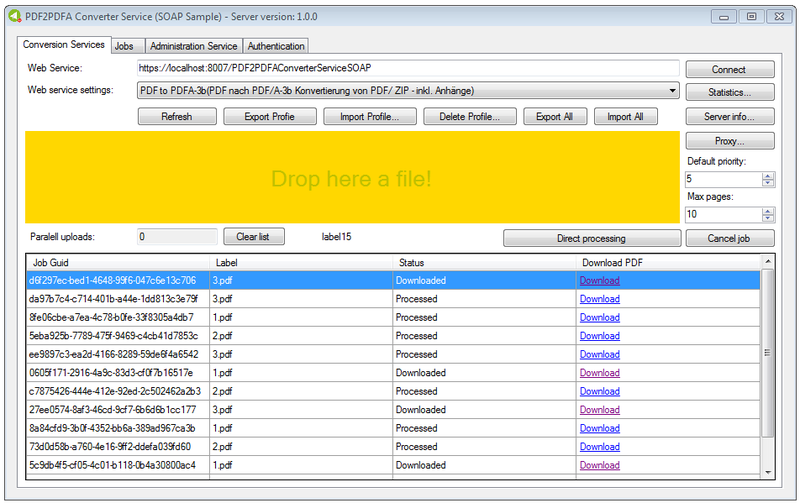 PDF2PDFA-CS-FM – is a free add-on application for the PDF2PDFA-CS PDF to PDFA conversion service. 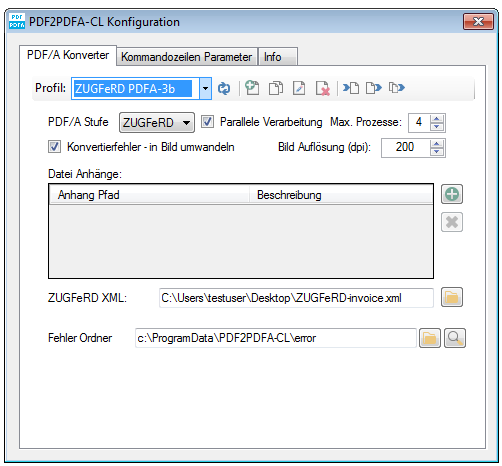 You can monitor one or more input folders and convert all existing or newly added files (PDF, ZIP) to PDF / A-1b, 2b, 3b as well as into the ZUGFeRD format and store them in the specified source folder. 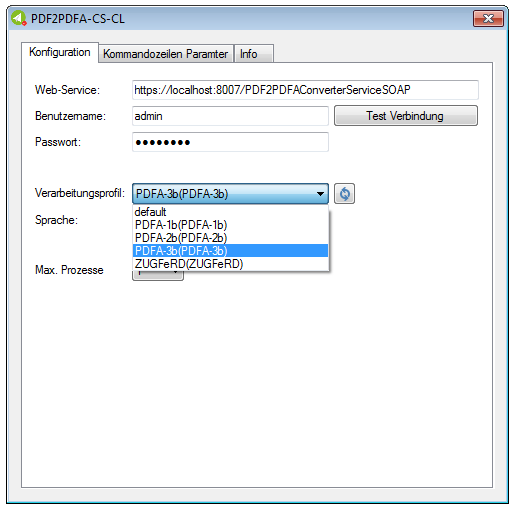 The functions are fully in line with the PDF2PDFA-FM application, but the processing is not “local” but “remote” using HTTPS via the SOAP web service interface. 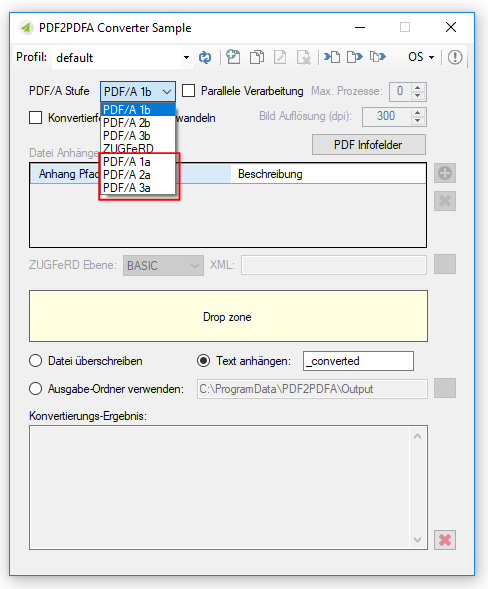 With version 1.0.3 of the PDF to PDFA Converter Service, ZIP files can now be processed in addition to PDF. 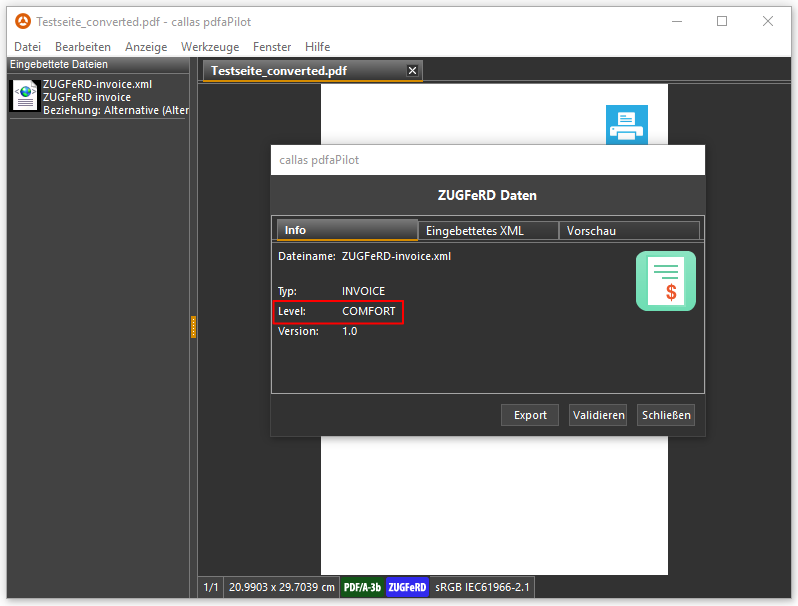 Via the ZIP container, files can be transferred as PDF attachments, as well as the ZUGFeRD XML to the converter service, in order to embed these files in the PDF output file. 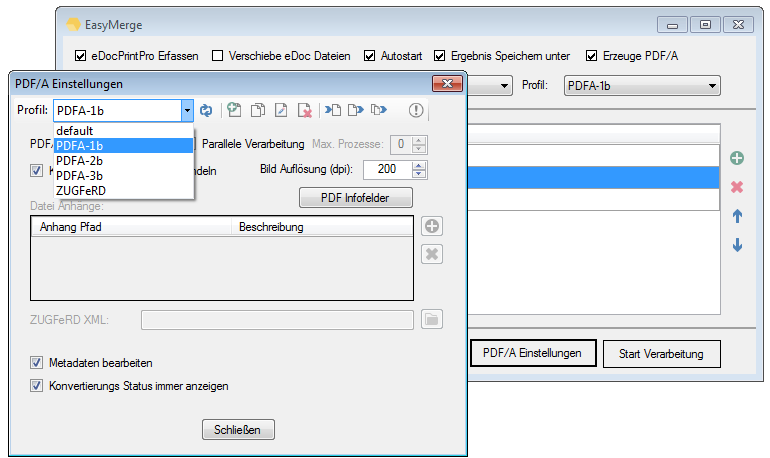 EasyMerge is used to combine several PDF or PDF/A documents into a single PDF or PDF / A file. Files can be added to a processing list using drag & drop or the eDocPrintPro printer driver. The order can be changed at any time and the text for the bookmarks in the entire file can be edited. 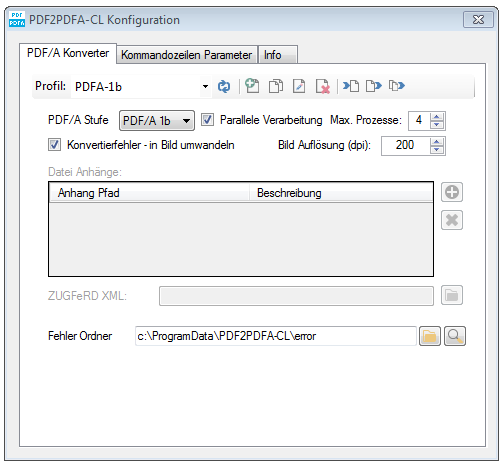 PDF2PDFA-CL is a command-line application based on our PDF/A converter component and serves to convert PDF’s to the PDF / A-1b, 2b, 3b or ZUGFeRD format. 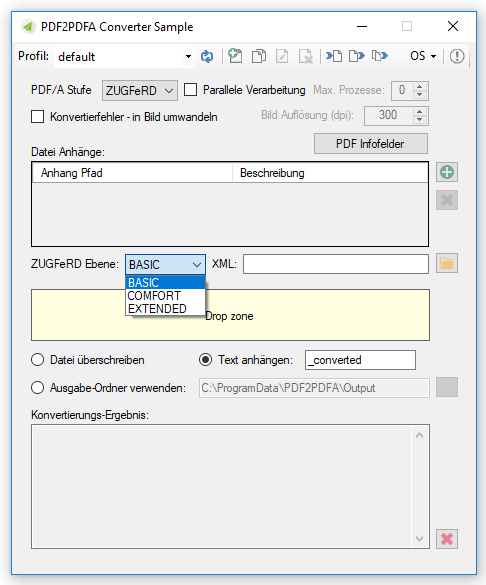 Converts PDF to PDF / A-1b, 2b, 3b and ZUGFeRD formats. 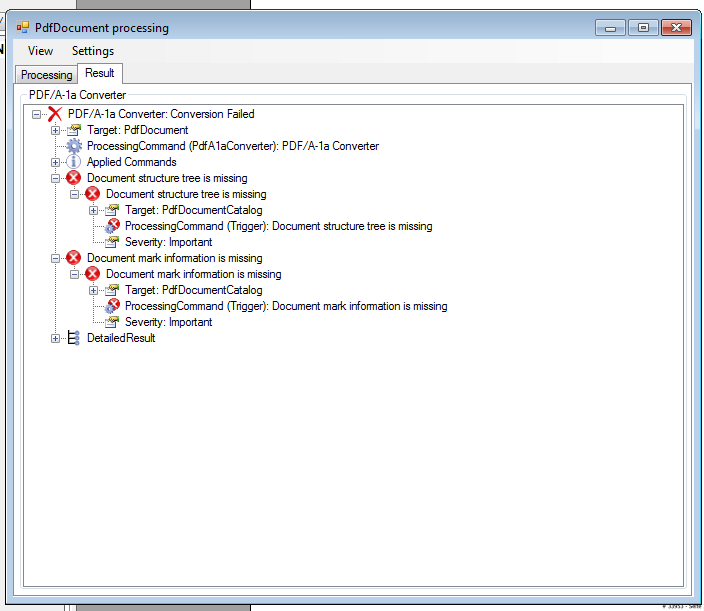 Processes – single files (PDF, ZIP), lists of text files, folders and whole folder structures. 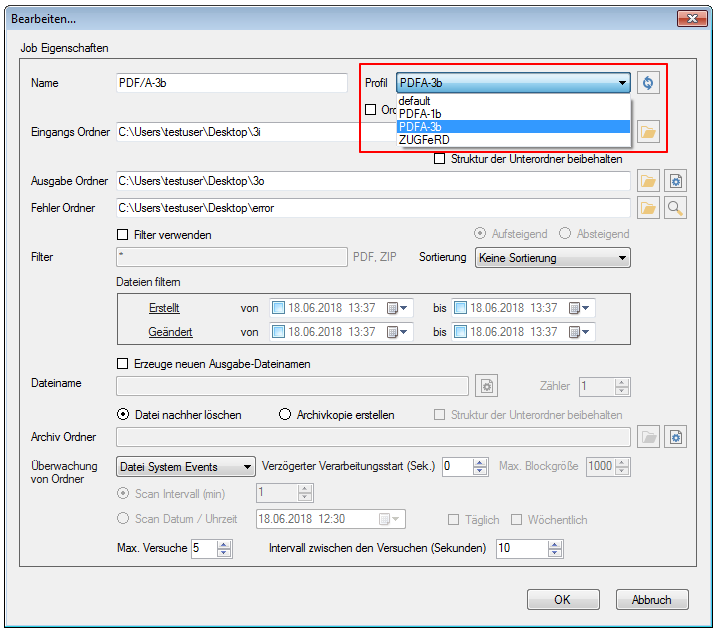 Only a specified folder or entire subfolder structure can be processed. 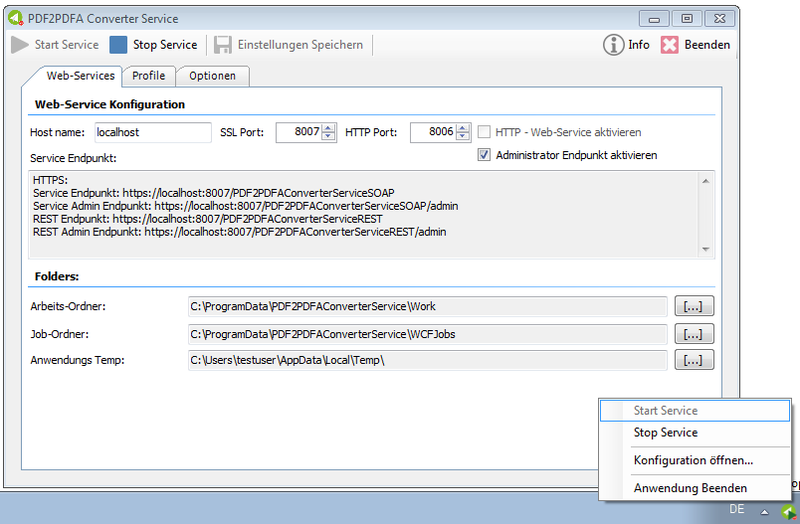 Logging of all events, as well as the cause if a direct PDF / A conversion is not possible. 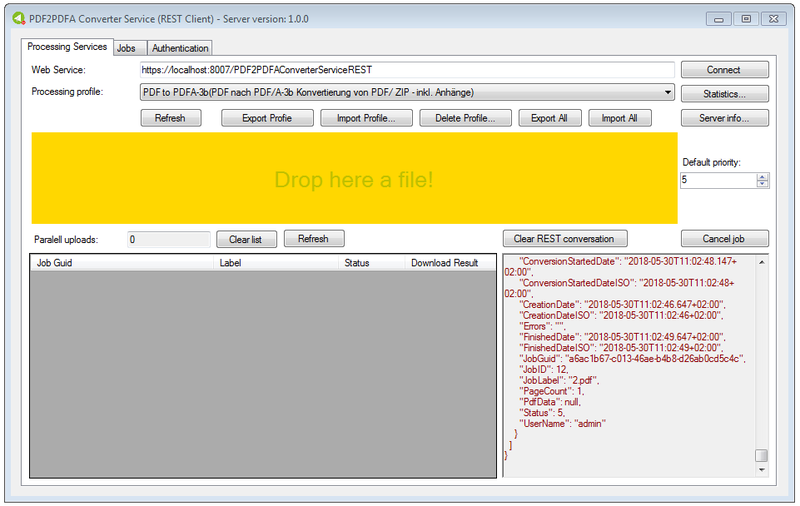 PDF / A Image conversion – if direct PDF / A conversion is not possible. 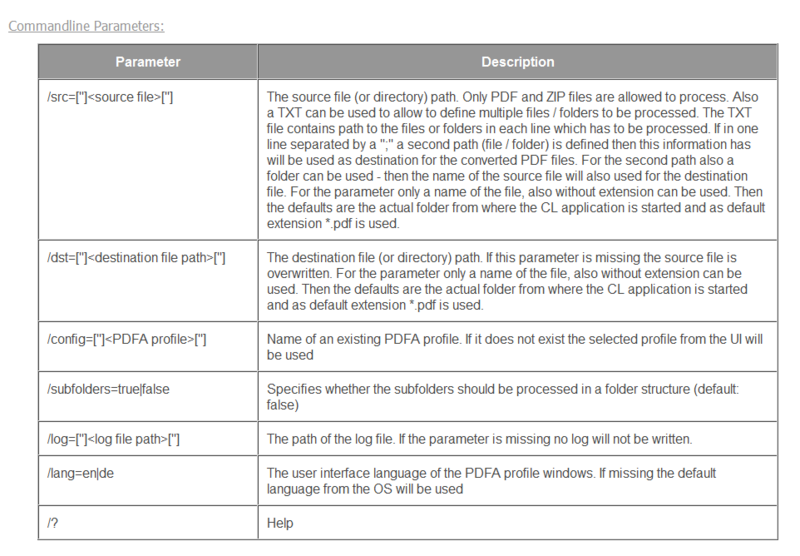 Allocation of PDF / A converter parameters via profiles. 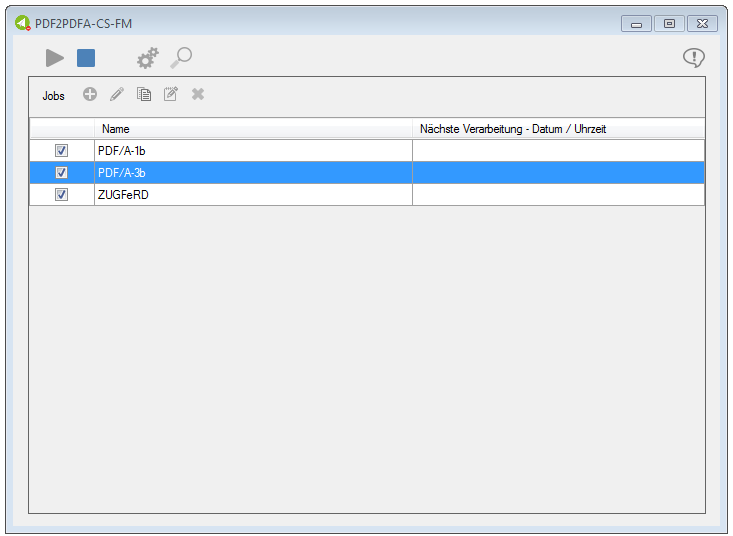 Embed external files as PDF attachments (PDF / A-3b and ZUGFeRD).